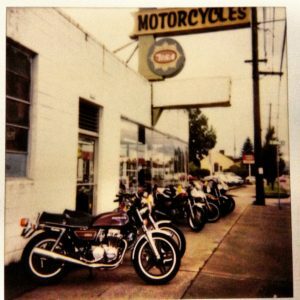 Vicious Cycle has focused on the maintenance and repair of Japanese and European motorcycles since 1996. (Do the math: that’s more than 20 years!) We are a full service shop. We work on modern motorcycles, as well as vintage street, dirt and racing bikes. No appointment is required to drop a bike off for repair. We offer many same-day services! We sell parts and accessories for both bike and rider. Humble beginnings: Original location, summer of 1997 in North Portland. Vicious Cycle is now the oldest independent motorcycle shop in Portland, Oregon. Future dreams: Artist’s vision of our current SE Portland store, summer of 2014. 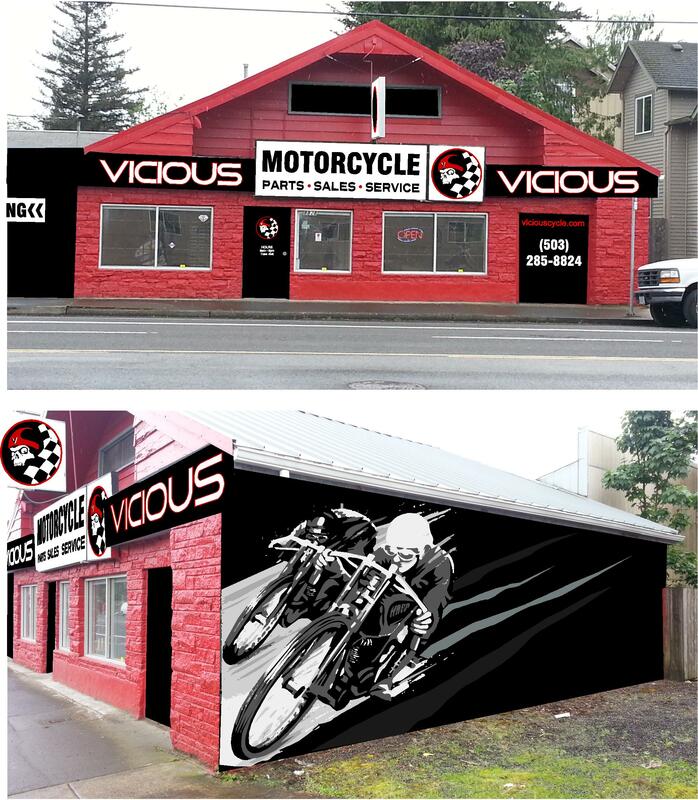 In addition to maintaining street and dirt bikes, Vicious Cycle loves motorcycle racing! We are supporters and fans of local and national racers in OMRRA, WMRRA and AHRMA racing organizations. Feel free to contact us with your motorcycle questions.